Michael Kushner returns to the swanky, intimate concert venue The Green Room 42 on Sunday, April 29 for an encore of his solo show Moo With Me, a heartfelt comedy that explores inspiration, self-discovery, and Michael’s love for the one-and-only Idina Menzel. 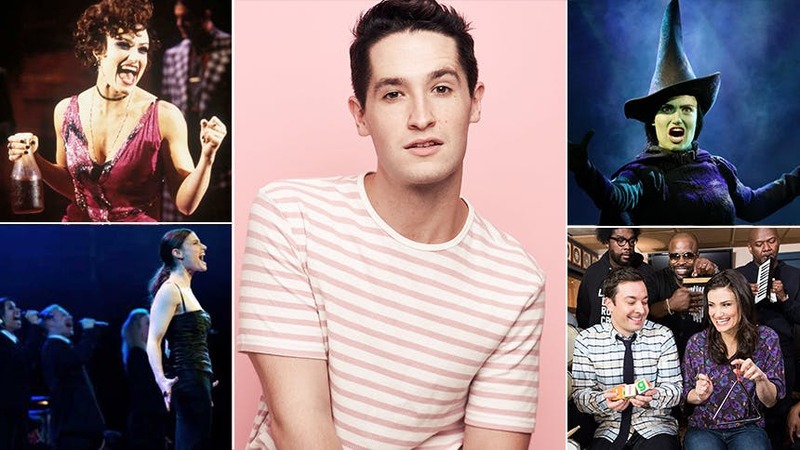 In advance of the one-night-only concert, Michael shares with BroadwayBox his five favorite clips of the Wicked Tony winner. Listen to her LIVE in the moment. Just by vocals alone, that prowess and ferocity is Tony winning. I love how she and the orchestra are pushing that tempo—it is both literally and figuratively flying. My favorite is the audience clapping automatically on "bring me down" as if they have no choice but to applaud. It's so overwhelming and guttural that as an audience we have to respond. It's brilliantly done. A song that shows her comic chops! I love her nod to Barbra when she sings "my divinest". In fact, I love the nods she is giving to many style icons. It's a nuanced performance, in my opinion. She gets away with "performing" but staying in the world of Aida—it's quite hard to give us a show AND be truthful. Plus, it's not often we see this side of pizzazz-y Idina—and it's quite refreshing and fun. Also, the live version is great, too. P.S. I've stolen "Alright ladies, let's polish this gem!" I truly love this performance because of her mixture of vulnerability and intensity! She's such a powerful, unique performer and it shows in this video both within her acting and vocal choices. She's focused, grounded, and telling a story. I'm with her. Also, the belting faces. Doesn't get better than that. Energy. Energy. Energy. What a way to enter a show. Full character developed. It leaves me so invested in who this woman is and what she's here to tell me. Plus, that 1920s curled bob is a match for her gorgeous bone structure. Ok—so this isn't my favorite video of all time... but I love seeing her beam. I just think this is fun. It shows her grounded, earthy side and that infectious smile and laugh. Plus, it's good to see her being loved by a nationwide audience. This video doesn't require thought—it is just pure and light. Don't miss Michael Kushner in 'Moo With Me at The Green Room 42 on April 29.